We're a full-service music creative and licensing agency based in Los Angeles, with outposts nationwide. Simply put, we help our clients find and license great music. Check out our work. Got a music-related idea but don't know where to start? We'll help you figure it out, including cost and time estimates, then execute the plan on your behalf. We're experts at sourcing, licensing and programming music for all types of media, including online, film, video games and TV (and when "they" invent new platforms, we'll license music for those, too). Our combined decades of experience means we can leverage longstanding relationships with hundreds of music reps to get answers quickly and songs affordably. 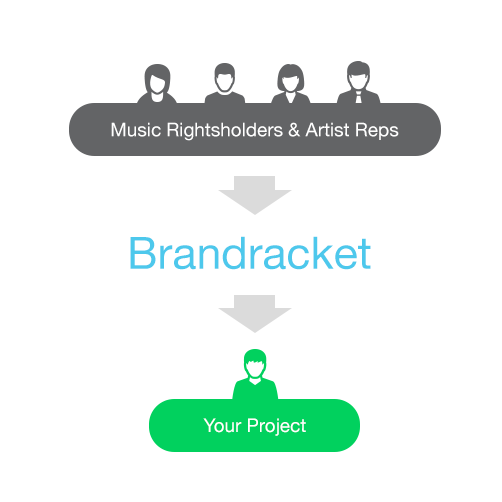 Need affordable music from real artists, bands and labels quickly? Check out our award-winning licensing platform BrandsForBands. Featuring thousands of curated tracks from established independent labels, publishers and third party music reps, it's an excellent and affordable solution for when you need real songs from real artists…real fast.